With the recent release of Dissidia Final Fantasy NT on PS4, Square Enix and Team Ninja have released a companion game on mobile devices that encompasses the world and lore of the franchise. Hosting a myriad of Final Fantasy characters, Dissidia Final Fantasy: Opera Omnia is a game veteran Final Fantasy players will want to experience. 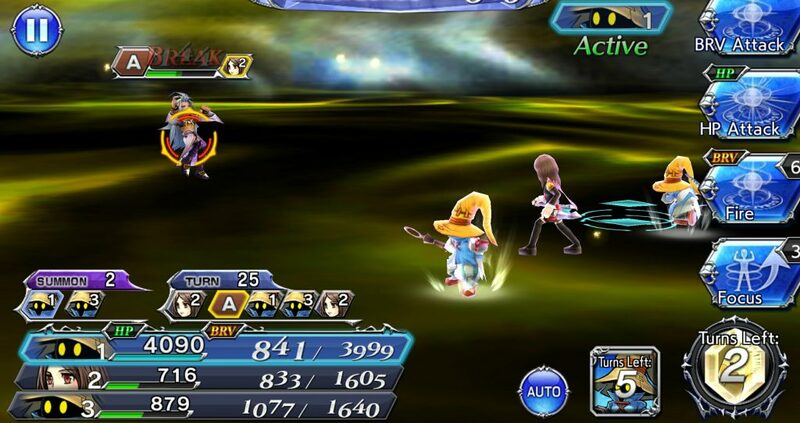 Opera Omnia introduces basic combat mechanics in which players can control a team of Final Fantasy characters in turn-based combat. 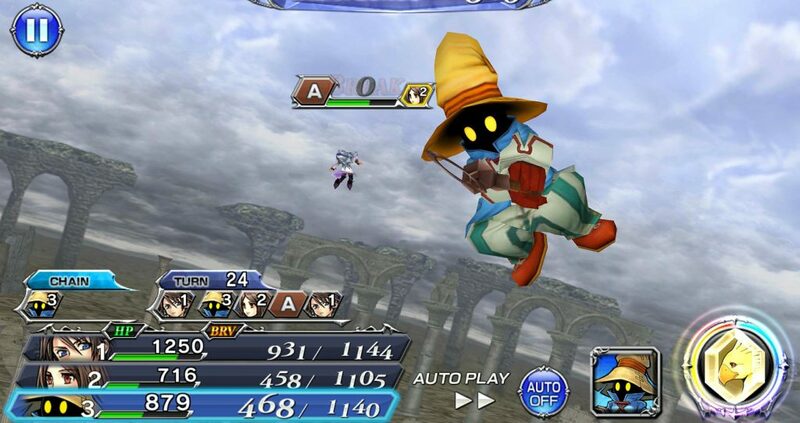 The concept of combat is heavily based on Dissidia’s attack system, where units have a Health value and a Bravery value. Whilst only direct attacks can deal damage and kill an opponent, other attacks will damage Bravery and grant bonuses upon depleting an enemy’s Bravery to zero. This is one of the primary features that sets Opera Omnia apart from similar mobile games, but sadly the game falls victim to the problem many mobile games have, where an Auto-Battle button can easily complete each task. Of course, this is an understandable design for mobile games, which consistently need to churn out new content to succeed. In my personal opinion however, the simplification of combat makes the intelligent combat system quite redundant. That aside, battles in Opera Omnia do flow quite well and give players full control of abilities, targets, and character customization. I can see potential for team synergy and strategy in the more difficult content of the game, which would be a refreshing change to the stagnant grind felt in the simpler content. Much like other Final Fantasy games, Opera Omnia has its own story and lore, which was personally one of my favorite aspects of this game. The story is accessed through a series of quests which serve as a tutorial, but continue to reveal more plot as quests are completed and new characters are added to the compendium. Though the story of the game seems very closely tied to Dissidia NT, players can and will experience a fresh and unique perspective as they continue through the game. Watching certain Final Fantasy characters interact with each other is satisfyingly amusing and following the heroes as they journey to find out more about the reasons they were brought together makes for thought-provoking gameplay. These scenes are all accompanied by amazing visuals and cute artwork, which bring to life the cast of the game. Whilst the character models look a bit odd at times for some characters, the chibi-style portraits still retain cuteness to them. Furthermore, the amazing animations in combat and the simplistic yet effective interfaces in Opera Omnia presents players with an effortless and easy-to-navigate system. One of the greatest improvements in comparison to other free-to-play mobile games is that the quest mode does not limit players to how much time they can invest in it. 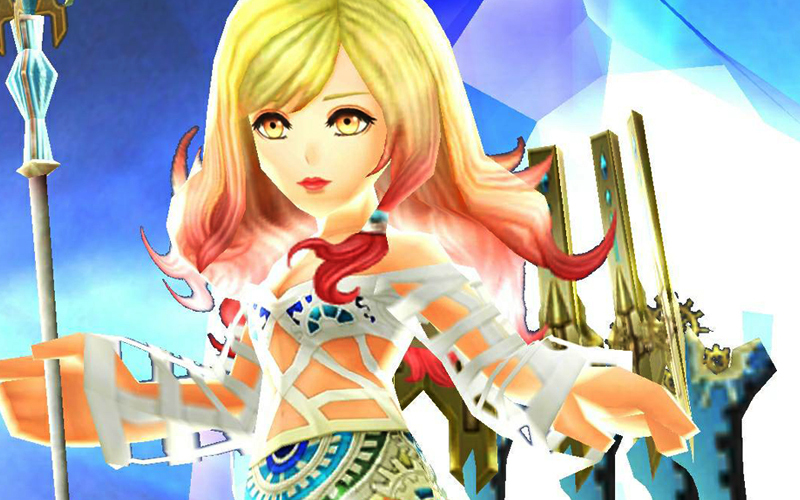 There is an energy system in place for the game, but it is strictly reserved for extra side content or events, meaning that players are free to progress through story and gameplay at their own pace with no limitations. This has made it particularly appealing to me because it means I can progress with the story any time I want, and it is a pleasant change of pace when playing through mobile games. Everyone loves collecting things. It’s what makes mobile games so successful within their niche. If a game greatly hinders a player’s progression by limiting items in a cash shop, it can be quite detrimental to the game. Thankfully, Opera Omnia does not place such limitations in any apparent sense. Having a gacha-game system like many other mobile games, Opera Omnia uses its own currency which can be obtained from quests. Using the currency allows players to obtain weapons and gear that can be equipped on to specific characters to improve statistics and give extra damage boosts. The system is very familiar to that which is found in Final Fantasy: Record Keeper, another mobile game by Square Enix which focuses on collecting Final Fantasy heroes. 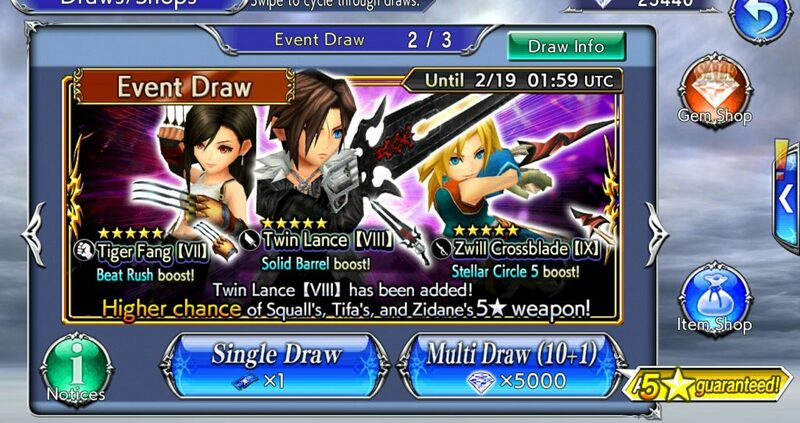 Sadly, the Dissidia version of this reward system didn’t entice me in the slightest, feeling far too similar to its predecessor and reminding me that I had ultimately no control over which of my characters would be my strongest unless I drew weapons that corresponded to them. Dissidia Final Fantasy: Opera Omnia does a magnificent job of giving players a fresh perspective of the popular Square Enix franchise. Despite numerous similarities to other games, an unique flavor can be found in the rich story and design of the game. 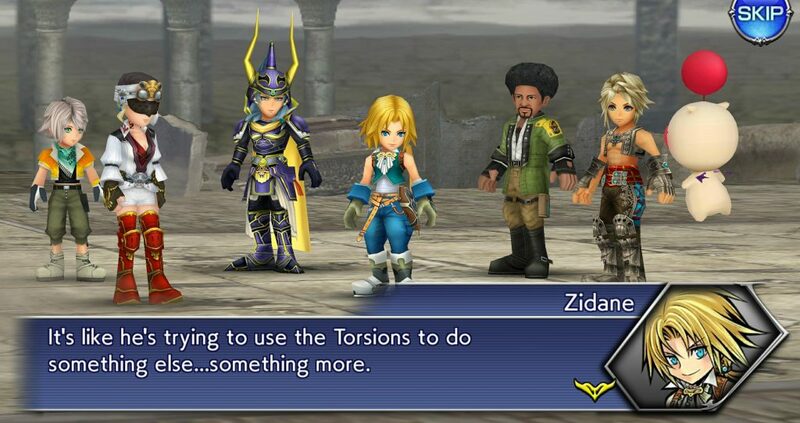 Final Fantasy fans will adore the quirky scenes and find themselves reminiscing favorite childhood treasures. Newer players alike can find joys in discovering the personalities of wonderful characters and exploring the beautiful realm of Dissidia. Whilst not a life-changing experience, I commend Square Enix for designing a mobile game that encompasses the world of Dissidia and recommend those interested in the franchise give this one a go.